The high number of suppliers and customers in the retail sector results in an abundance of information. Merak will help you collect all your information and store it in a practical way. This will reduce the workload of your staff and will enable you to use your archived data in a more efficient manner. Merak digitises all your single-sided and double-sided documents (from ledgers to invoices) in all formats. The digitised documents can be stored in colour or in black-and-white, with or without character recognition in 100 languages (OCR/ICR). To limit the size of the files, we also offer the opportunity to compress files. Merak stores your paper and digital data under the best conditions. 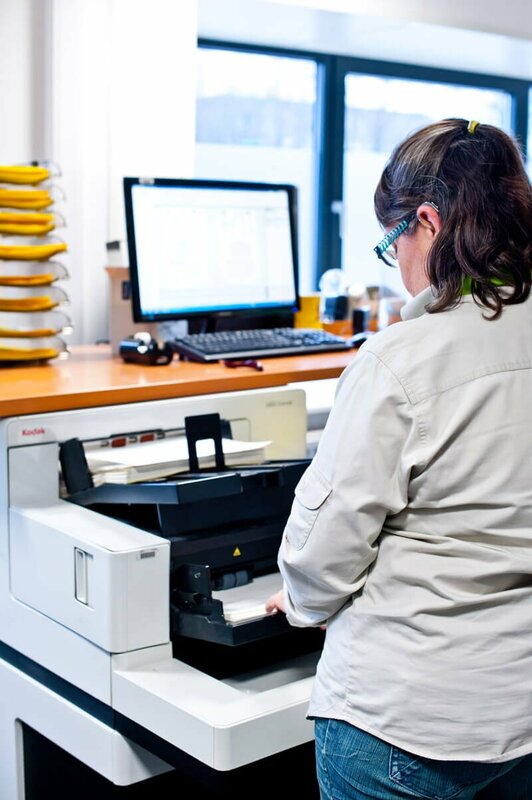 The paper originals are stored in the safe intended for vital documents while the scans are stored in the e-bunker where they are protected against electromagnetic radiation and other hazards. And only you decide who may consult them. The proper allocation of duties at Merak is tuned into your workflow and always guarantees a sufficient number of professional people for short-term, important actions regarding your archive management. Your documents and archives are always delivered by our own courier service. Wherever and whenever you need them. 24/7. In this way we can guarantee a maximum continuity even in emergency situations. Merak is of the opinion that customers deserve the most extensive security guarantees for their data. The guaranteed secure storage of all archives is therefore part of the core of our DNA. The frequent audits and strict ISO 27001 standards guarantee that Merak will always treat your data in a correct and secure manner, with a 0% error margin. You will also receive detailed reports with traceability of each manipulation of your archives.